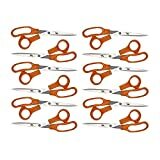 Our 12 pack of orange multi-purpose scissors will meet all your needs. These scissors are great for sewing, quilting, home, kitchen, office, and arts and craft projects. Cutting scissors that will truly cut materials easily and precisely. Here are your go-to scissors to help you every day with every task. Scissors you can rely on! There is no doubt these scissors will be your go-to. If you need it at home to cut something in the kitchen, or you need the pair of scissors in the office, or to cut a photo for a scrapbook, fabric or string, this list is endless. These multi-purpose scissors will always solve the problem. Comfortable scissors! Our multi-purpose scissors offer a pointed tip to make the most perfect cuts. With stainless-steel scissors you will see that they withstand the wear and tear of daily use. They also have a bent handle to help make cutting an easier task, especially for long cutting projects. Long lasting scissors! Industrial stainless steel blades and sturdy handles means you will have these cutting scissors for a long time among your tools. Our multi-purpose scissors are made of a rust-resistant material, with blades that are very strong. High Quality scissors! We believe that when you reach for scissors you should never have to consider whether it will cut. We want you to know that it will, which is why we design our scissors with industrial grade, high quality materials. Our cutting scissors are very strong and withstand many kinds of materials such as metal, cloth, paper, hair, etc. These multi-purpose scissors are great for meeting your needs! These scissors are specially for fabric, home, kitchen, office, photography, you name it! If you are in to quilting and sewing, these craft scissors are great for you! If you need the scissors for home use, such as cutting tape, or cutting tags off your clothes, these shears are very useful. If you need to cut open a bag of vegetables, these kitchen scissors will help you! If you need to cut straight and perfect lines, these office scissors will make a great addition to your office supplies. If you need these scrapbooking scissors to cut some photos in different shapes and sizes, these scissors are perfect for you! These is no doubt that these multi-purpose scissors will be your go-to scissors to rely on. 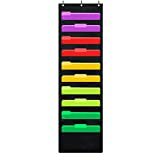 Why you need a Cascading Wall Organizer? EASY ASSEMBLY & NO HASSLE PACKAGING WRAP: Don’t worry about digging plastic wrap out from under the aluminum frame! Our boards are wrapped OVER the frame so you don’t have to deal with those annoying plastic bits wedged into the sides of your board. 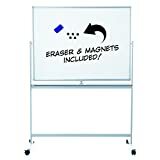 DURABLE, EASY TO ERASE SURFACE: Our large 48 x 36″ lacquered steel whiteboard allows for both easy erase cleaning and protection from dents and scratches. Don’t put up with streaks and scratches. 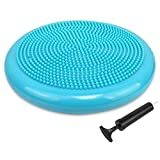 EASY FLIP DOUBLE SIDED DRY ERASE BOARD: Flip the board to the other side with the press of a button. You have TWICE the writing space when you utilize BOTH sides of the portable ORCA whiteboard with a stand. MAGNETIC ACCESSORIES INCLUDED: Stay organized with 5 magnets and a magnetic eraser that firmly cling to the steel board. Of course, the ORCA whiteboard has a tray to hold any non-magnetic dry erase markers as well. MOBILE WHEELS WITH LOCKING CAPABILITY: Easily roll your dry erase board from one room to another. Once in place, push the lever with your foot to keep the board firmly in place for use. 2.Cold rolled steel with environmental electrostatic powder coating. 3.With anti-collision robber pin on door. 4.High quality ABS handle lock master key provided. This Metal locker cabinet can be using both in office and home. Can storage files,cloth, shoes ,bags ,cellphone and other self belongings. Environmentally friendly power coating finised which safe for your health. It also can be used for kids like school bag, toy, book and so on. Different colors, handles and styles available; Professional export package to ensure safe transportation. Super metal furniture manufactures all kinds of steel storage products for office, commercial, industrial, and educational applications. 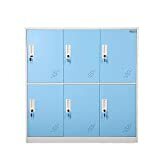 This Metal locker cabinet can be using both in office ,school and home. Colorful appearance nice decorate your room. Perfect size 24″x36″ for hanging on the wall. 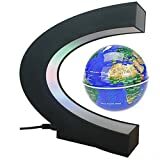 Ideal for kids rooms, bedrooms, meeting rooms, offices, kitchen, restaurant and more! 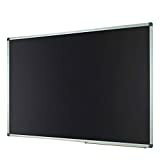 Our chalkboard can be mounted vertically or horizontally with attached mounting hardware. 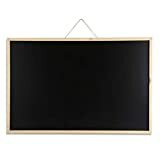 24 x 36 inches chalk board with black surface is great for the home, office or school. Good size allows for both big and small drawings and writings. Simply use damp cloth or felt eraser to clean the writing surface with no ghosting. Whether you are erasing one of our chalkboards for the first time or the thousand-and-first time, you will get the same clean. The oak finished frame provides classic styling. Durable balck surface is easy to dry wipe without leaving any stains or ghosting traces. Durable and Perfect Construction, Light Weight, Firm Aluminum Frame, Wall-mounting Designed Nylon Corners With No Shape . Once Have Never Forget. Packing And Shipping: Reinforcing Design For Packing Box Makes Sure the Chalkboard Is Flawless On Arrival. REMINDER: The Chalk Board Is Covered By Protective Plastic Film. Please Tear Off The Film Which Cut And Marked At The Corner Before Use. LIFETIME REPLACEMENT SERVICE: Please Feel Free To Ask For LIFETIME REPLACEMENT SERVICE, If You Have Any Issues With Your Lockways Chalk Board.